With the evolution of the next generation networks several applications have emerged to be used through the web. Applications allowing the analysis and the recognition of documents are emerged to be used through Internet. Document pre-processing output may affect the efficiency of document analysis and recognition systems. In order to ameliorate the efficiency of such systems, an objective evaluation of pre-processing steps is necessary. The authors propose a new framework for automatic evaluation of binarization approaches. The evaluation of binarization approaches is based on the comparison between binary images and their ground-truths. For that reason a method for the generation of ground-truth is proposed. This method is evaluated using the benchmarking dataset DIBCO 2009. The comparison between binarization methods’ results is based on several evaluation metrics as FM and PSNR. The proposed framework is tested on printed images (250 images) from the Google-Books collection and on handwritten images (60 images) from the IAM historical database. Following the creation of the grid network and cloud computing, several researchers, as well as industries, have considered this topic. 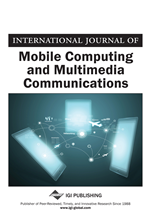 From the very beginning, the grid network and cloud computing were adapted to commercial and financial use, and in the last few years, cloud computing has been further integrated into the Next Generation Network (NGN) (Vaquero et al., 2011). Although enhancing efficiency and reducing the costs of services are objectives of cloud computing, the primary aim is the combination of several sources of different services based on dynamic reallocations. Figure 1 shows how cloud computing is integrated into the NGN (Billet et al., 2012). In order to improve the performance of the NGN services, it is necessary to allow automatic services and applications when using cloud computing (Schreiber et al., 2011).